Getting accustomed to Sapolsky's somewhat strange way of speaking took me a little while. But the content is super interesting and often has actionable takeways. I found it beneifical to know his backstory, which I got from reading his biography, which is itself one of my favourite books of all time. I'm glad I gave this a listen and I think I'll definitely give it a re-listen somewhere down the line. A small taste of what Sapolsky's work entails. If you want to see if he has interesting thing a to say start here. And then you will be hooked. What a joy Sapolsky is! This short course has it all: neurobiology, history, social commentary. And God does it have humor. The writing, the delivery, is top notch. Where else will you hear of a baboon being a tease and giving another, totally love-struck, baboon the cold "fur-covered" shoulder? This is a lesson on intermittent reinforcement, and with an image like that, the story that goes with it, seriously. The lesson will stick with me forever. There's so much packed into so few hours, you won't even feel time flying by. Plus, perhaps you, as I, will find yourself drawing connections to your own experiences. Depression is covered, in certain ways. Did you know just forcing a smile makes a depressed person more likely to feel better? Or that meds targeting an empathy, an I-feel-the-pain-of-the-world type of depression is being developed? True, Sapolsky does stray from science a lot, but eventually he gets back to the brain. And true, cockroaches get A LOT of air time (and tell me if you don't get squeamish in the parasite section! ), but the section on metaphors? That just highlights how breathtakingly beautiful the whole book is written, how insightful and inspiring the text is. This book is worth it. A nicely presented lecture on the nexus between psychology and neuroscience and the author never loses the listener with obscure names of brain regions, hormone names, or body parts. 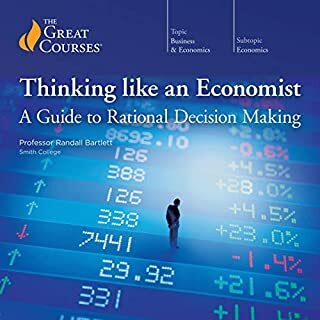 There is a theme the author presses through out the lecture and that is the conclusions are only as good as the data set the conclusions are based on. 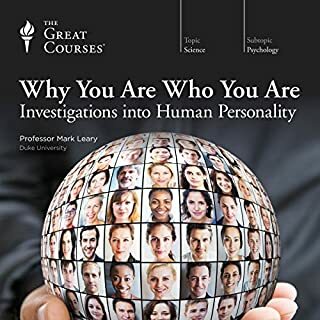 If you ever watch a movie or TV show and they are trying to show how wise a professor of Psychology or Neuroscience is the character in the show will be relating one of the experiments that would have been covered in this lecture. (I'm thinking about the truly marvelous movie, "Boyhood" and the Psychology professor is relating a story that is covered within this lecture). 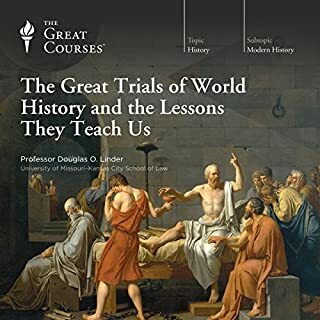 For me, most (if not all) the stories I have come across elsewhere in my readings, but this lecture series has all the stories in one place and without any jargon to confuse the listener and is given by a lecturer who really knows how to tell a story. 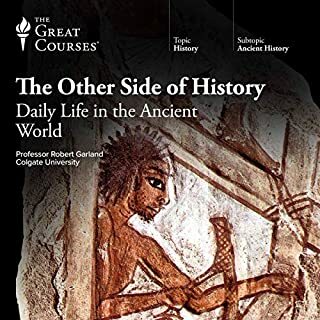 (I got this lecture on the "deal of the day" for $2.95 and at the price it is well worth it. I would imagine Audible will discount it from time to time and I would recommend it at that discounted price). Comprehensive enough to be interesting and knowledgable but succinct enough not to bore. 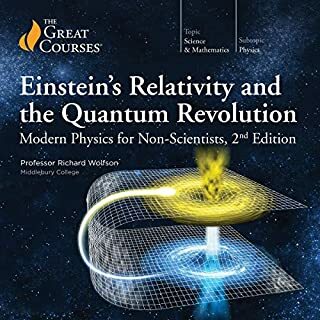 a++ highly recommend this intelligent course material! This is a hard review to write because I completely recognize the quality of the production, the enthusiasm of the presenter and the interesting nature of the material. 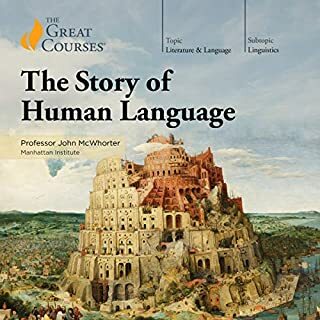 I do not want to downgrade the course just because it was not entirely to my personal tastes—I see where the right listener might find this course wonderful. Essentially, this is a collection of unusual, sometimes macabre and sometimes frightening, stories with a biological or psychological twist. Topics range from stories about body snatching to burial rituals to parasites to humanity's use of metaphors. 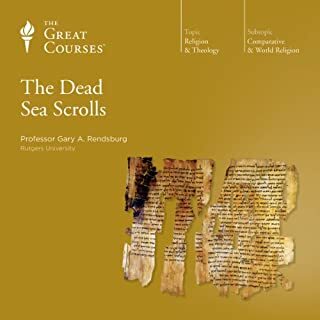 There is little, if any, theme, but the professor admitted that this was intended to be a sample pack of topics so the lack of theme cannot be held against him. I found many of the topics at least mildly disturbing and was reminded somewhat of a collection of oddities from a circus sideshow. Again, this is likely more a reflection of my personal tastes than any fault of the professor. I decided to try this course even though it is outside of my usual areas of interest just to try something different. I cannot say that I disliked the course, but I can say that there are other courses much more to my liking such as history and business courses. If you are interested in scientific and medical oddities, then you may really enjoy this course. 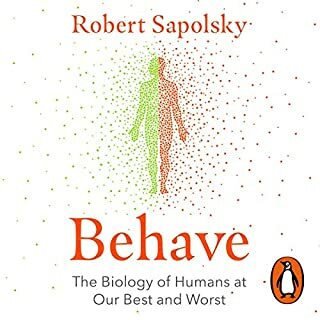 Professor Robert Sapolsky is warm and engaging, and his lectures are full of insight and information that can shift how you understand yourself, others, and the world. 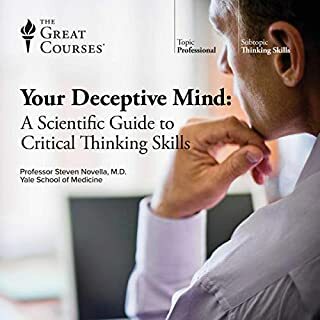 He has made it on to my short list of people who I unquestionable trust to deliver contemporary, useful material about the brain and what we do with it. 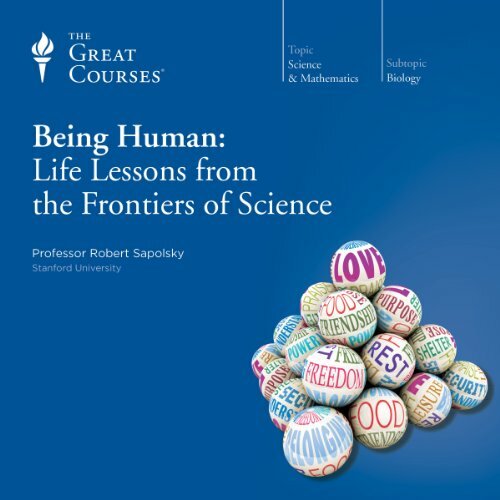 What did you love best about Being Human: Life Lessons from the Frontiers of Science? There were times where I felt I was hearing some interesting concepts, and looking at things from a perspective I hadn't previously explored. 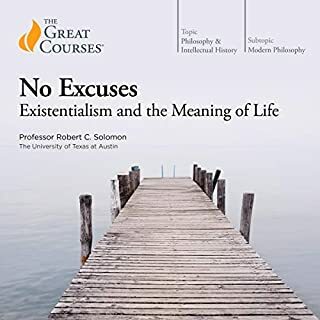 Professor Sapolsky was certainly interested and well learned in his subject matter, however I felt like there was a little too basic an approach to these lectures. Between the title and length, I knew it wouldn't be comprehensive by any means, but I did expect a little more than just a few different ways to look at things. 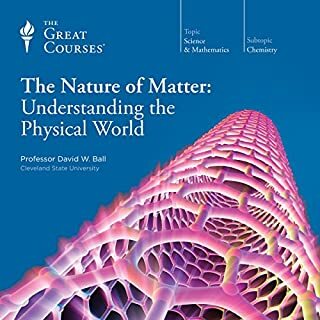 This selection is a series of college-level lectures by a well-known and well-regarded professor of neuroscience. Professor Sapolski is, as expected, an excellent lecturer. 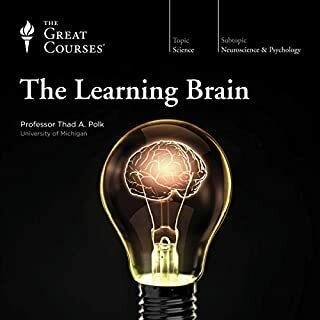 If you have been following the rapid accumulation of knowledge in neuroscience since the arrival of functional brain imaging and other whiz-bang, you may find this lecture series a bit slow and simplified. If you have not been following these developments, this would be as good a place as many to start. You need to know this stuff! If you are over 30 years old, the information you were given during your education and the assumptions you absorbed from the culture about your brain, your learning processes, and your emotions is dangerously out of date. The lectures are slow-paced; but then, its not easy stuff. No math and not much chemistry, but changing your mind about your mind is not for sissies. 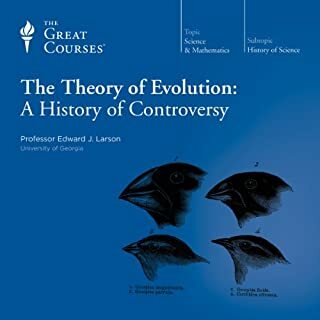 The entire purchase price and the investment of time to listen to this series was worth it just for the wonderful lecture devoted to details of neurological parasitism. Yes, indeed, there are tiny parasites that compel their crab hosts to prepare the nesting site for the parasite's babies.These kinds of things are not at all rare and can be scary in a way science fiction and dystopian literature cannot match. I long ago overcame most of my squeamishness about biology and there is no doubt it's important knowledge; but consider this a trigger-warning. Some extremely insightful examinations on human behaviour, accompanied by wonderfully engaging illustrations leaving you wanting more. Needless to say his narration is fluid and dynamic. Gratz good production. Presented for audiences on multiple levels of experience, from zero to semi hero! This guy understands stress on a binary biological level, and explains it seemingly effortlessly. One of the best lectures series i have ever attended live or audio. 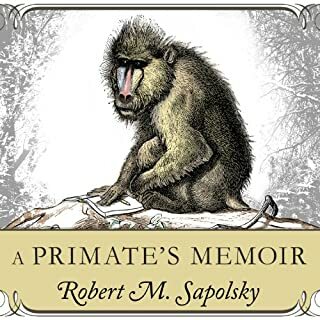 Pr Sapolsky is an excellent narrator and a top scientist. I was gripped the whole time. Definitely a must listen. Have you ever wondered why you do some things? 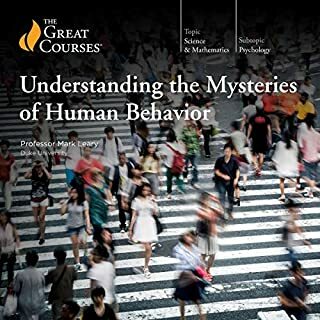 This short title gives a rather brief introduction to the ideas in biological theory on human behaviour. I personally found the lecture on intermittent rewards and the effects of 'maybe' on our physiology and psychology to be of great interest. 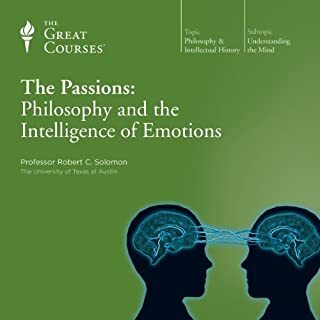 So if you ever catch yourself wondering why you are engaging in certain behaviours this audiobook may be the first stepping stone to understanding yourself a little better. Witty Smart Compassionate Teacher Who Can Convey Complex Science In The Most Accessible & Clear Manner. I Sat through 27 of his Stanford University Neuroscience Biology lectures on Human Behavioural Biology with next to no previous exposure to the. range of subjects he covers, perhaps for some rudimentary Psychology & Sociology stuff from University Nursing course. They were utterly compelling, I wasn't sure if these would be superfluous to those lectures, they are not - this is excellent work, imaginatively curated into a highly digestible format. Don't think twice stick it in your bag or wish list, share with your family, it is dynamite as they say. A truly fascinating, brilliant course, delivered with passion and humour. 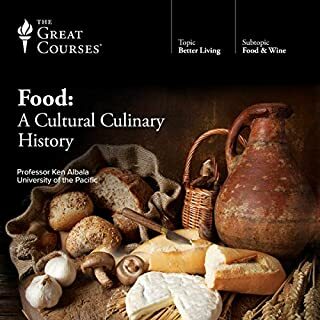 The most interesting and enjoyable 'Great Courses' I have listened to. Fascinating, makes me want to understand more. If you could sum up Being Human: Life Lessons from the Frontiers of Science in three words, what would they be? What was one of the most memorable moments of Being Human: Life Lessons from the Frontiers of Science? 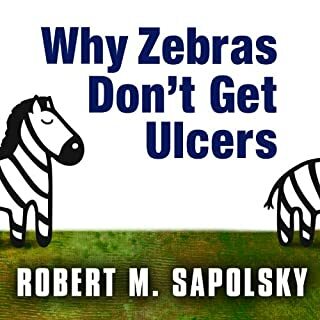 Have you listened to any of Professor Robert Sapolsky’s other performances? How does this one compare? Narrator voice was hard to stay focused on. Don't know why exactly, but I found myself zoning out of this a lot even thought the information was good. Good info though. Fun facts, tied together into 12 different fascinating stories of what it means (or may not mean) to be human. What's not to like?